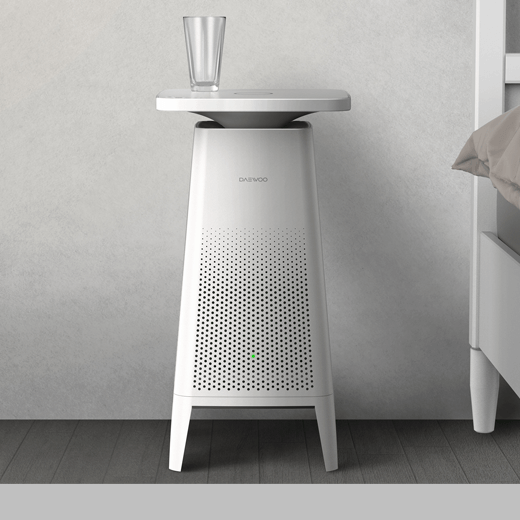 The COZY table exists at the intersection of furniture and appliances, doing double duty as a both a side table and indoor air purifier. Because certain appliances can be eyesores in the living space, it only makes sense that certain products be camouflaged or hybridized into something that already exists. COZY’s straightforward aesthetic makes it a subtle accent to any bedroom or living room. As an added bonus, the top surface doubles as an induction charger for Android and late-model iPhones; it also has a built-in light. For minimalists or anyone looking to declutter, COZY an easy solution.